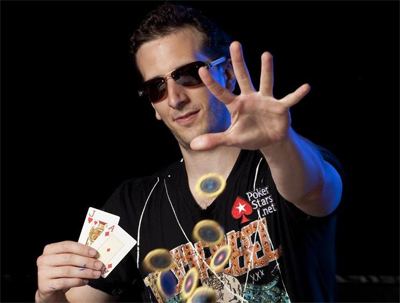 The reputation of Bertrand Grospellier aka ElkY as one of the best poker player in France is no longer unknown to fans of this card game. Moreover, he repeatedly demonstrated his power in his various participations in major events during which he won trophy and cashes if we mention the title of champion of the PCA 2008 and the World Poker Tour Festa Al Lago. Note that ElkY is also on the top of the list of players having the biggest win in France with 6.5 million dollars on his account. To the delight of his fans and fans of the game, Bertrand ElkY will provide them poker courses in Morocco. Indeed, the great ElkY will offer a poker seminar to be held at the Palais Dar Ambre Marrakesh. During four days, ElkY will share to participants his knowledge on analysis and hands reading, strategies on stakes and raises, position in poker, poker math, metagame, tournament strategy, short-handed game and Heads'up, technique of Bluff, psychology, live and online poker. In short, various strategies to learn how to play poker. To close the workshop masterclass in beauty, a tournament that will let participants to implement the techniques they learned during the seminar will take place. And the prize reserved for the winner will be a package for a live tournament. Note that on next Thursday, April 21, a Freeroll ElkY Mastrclass tournament with a package of  6,000 will be held.